After much anticipation, our new location, Vintner’s Table, is finally open in downtown Phoenixville, PA! 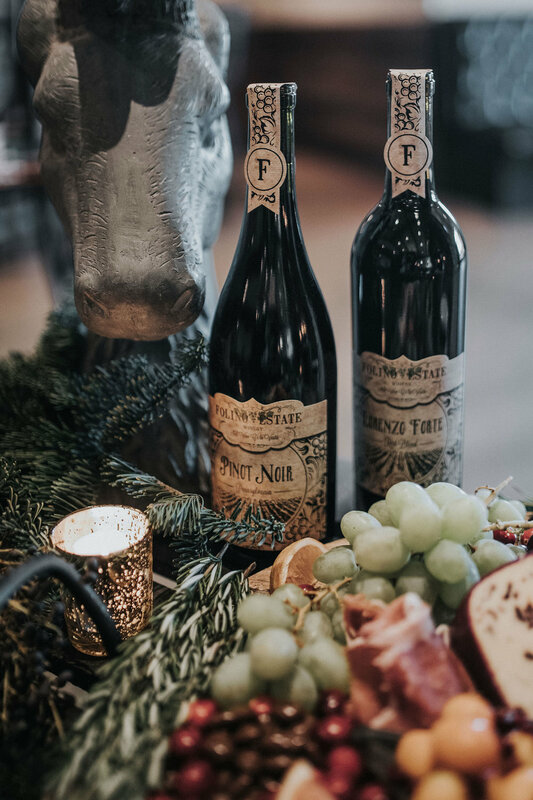 Vintner’s Table is home to a Salumeria Bar, where guests can enjoy handcrafted boards made with imported and domestic meats and cheeses, cafe-style drinks and of course a variety of Folino Estate wines from our Signature and Limited Edition Black Label Collections. 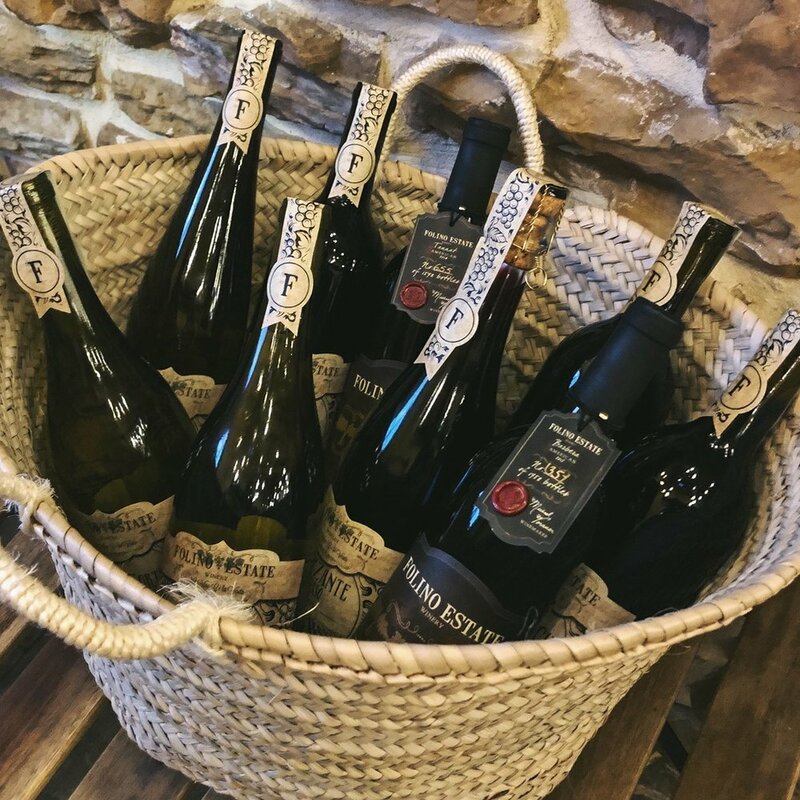 Guests can browse the unique, carefully selected merchandise from the gift shop while sipping a glass of wine. We also offer wine tastings led by knowledgeable Wine Educators, and are beginning to introduce specialty wine pairings! 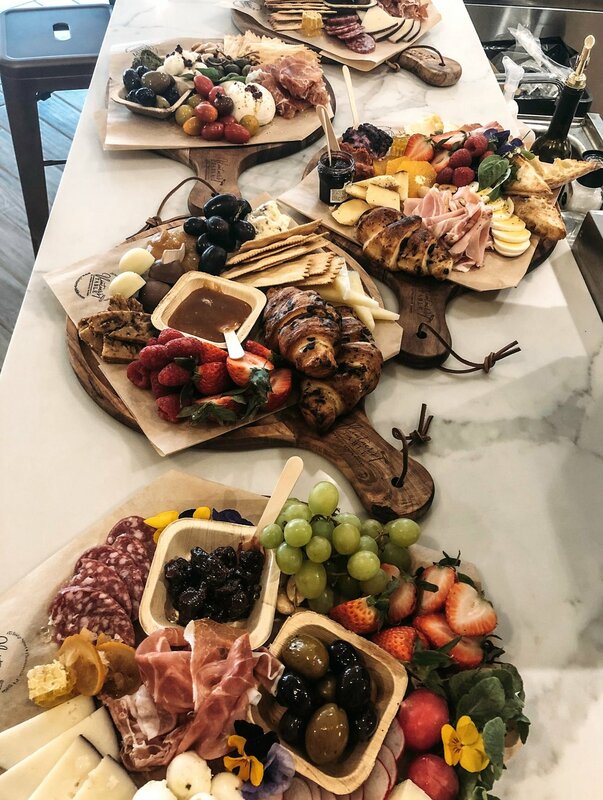 Vintner’s Table Salumeria is home to authentic Italian meats, such as prosciutto, pancetta, and salami, and cheeses such as parmigiana, mozzarella, and provolone. 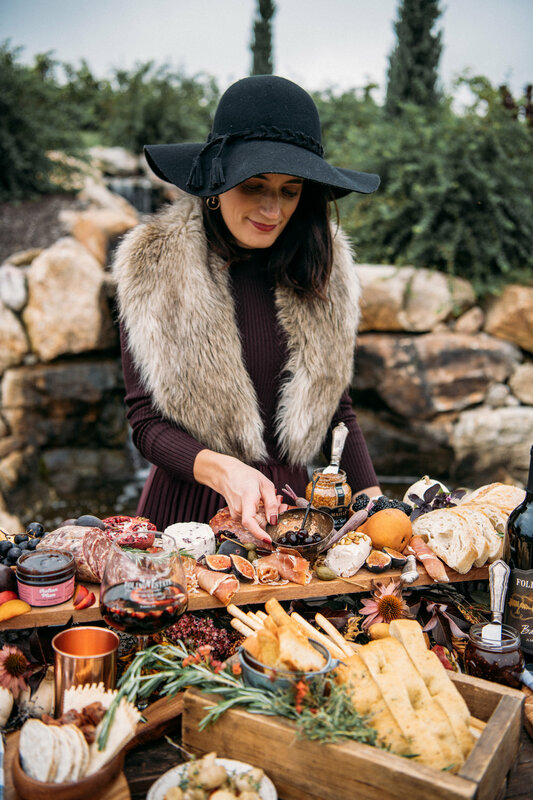 Our professional and authentic deli-slicing equipment will allow the cured meats and cheeses to be sliced and packaged perfectly for you to buy by the pound and enjoy at home, or for use on our available charcuterie boards. 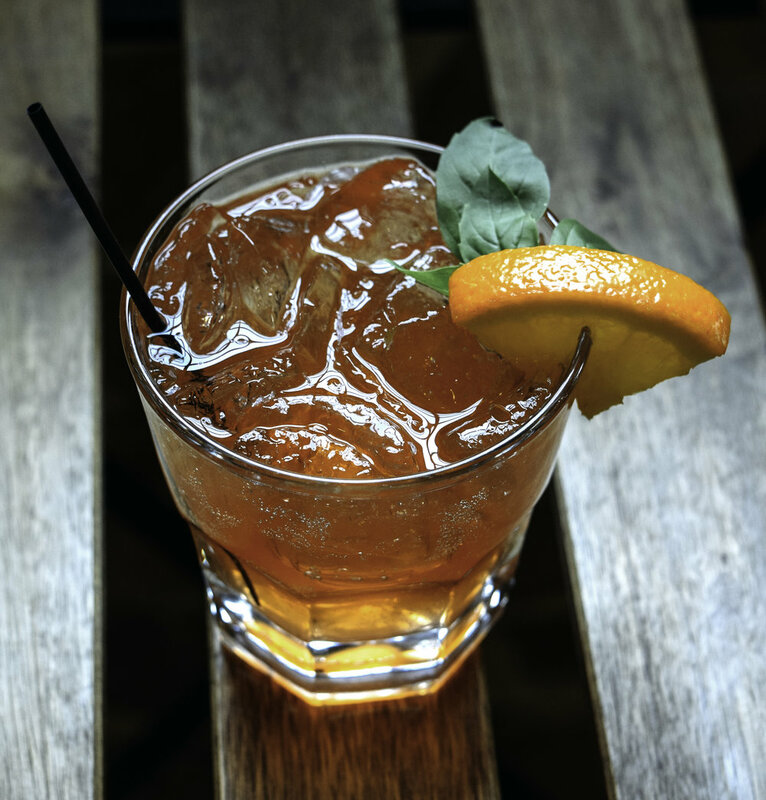 A full-service cafe bar complete the Salumeria to provide a genuine, relaxing Italian experience. 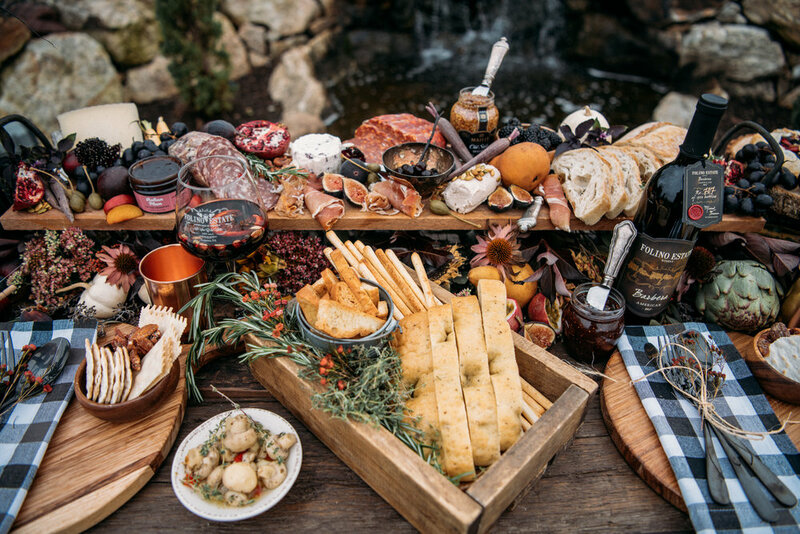 Our carefully hand-crafted charcuterie boards offer a variety of freshly sliced meats and artisanal cheeses, accessorized with the appropriate food accoutrements with compatible tastes to be enjoyed with our wines. 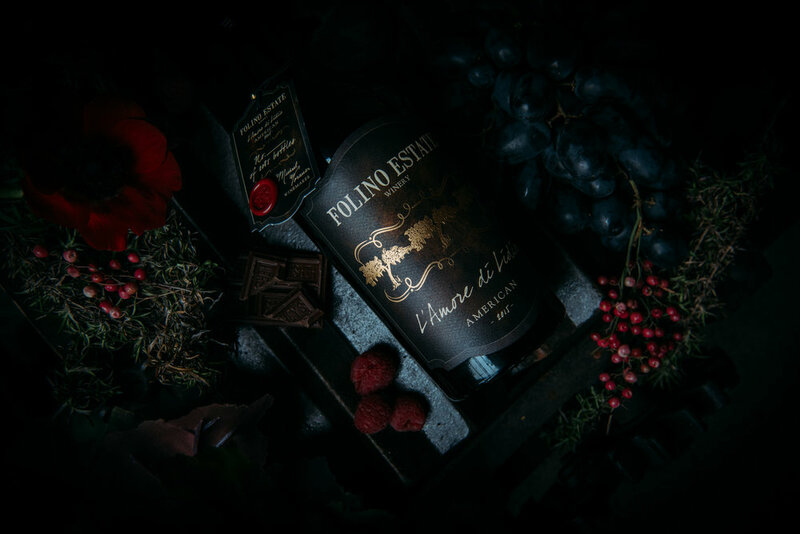 Are you a Folino Estate wine lover? Perfect! 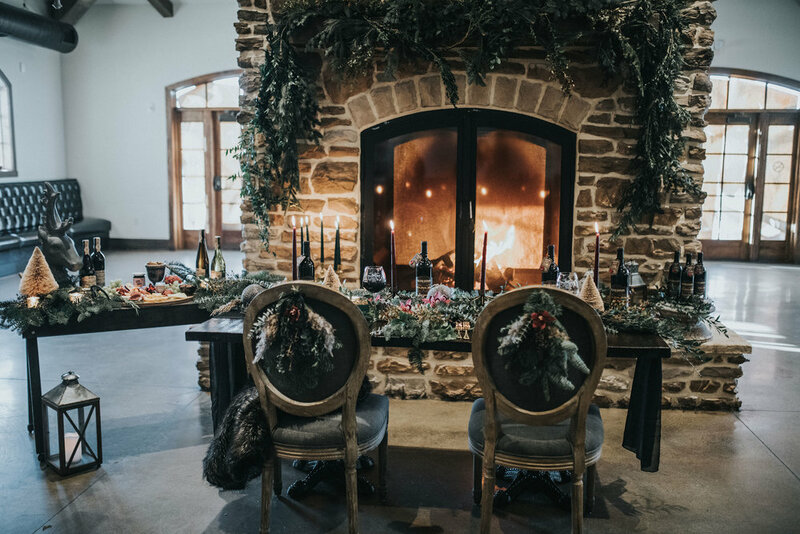 You can enjoy both Signature and Black Label wines by the glass or bottle while you shop around, warm up by the fire, catch up with friends, or try a handcrafted charcuterie board. Be on the look out for new wines, including an exclusive Vintner’s Table red blend, coming soon! 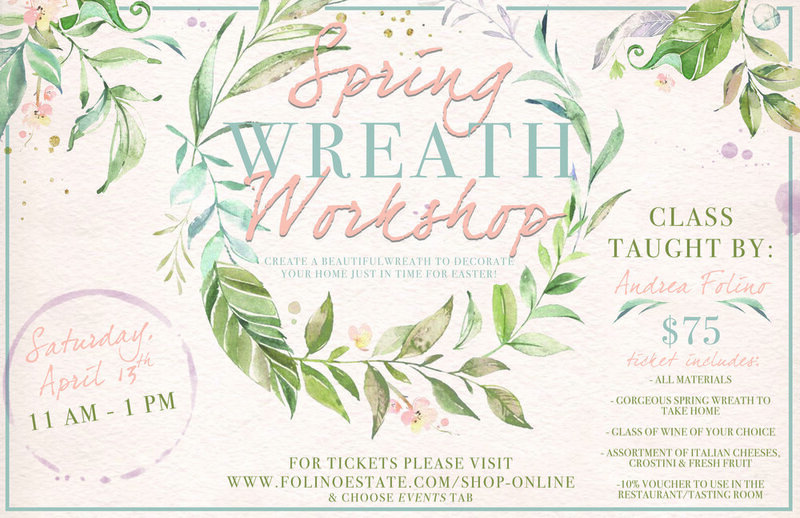 We are are looking forward to this new location providing an authentic experience rich in culture and style for locals to enjoy among the area’s other successful small business neighbors in downtown Phoenixville! everything that is good in the world, all in one glass! 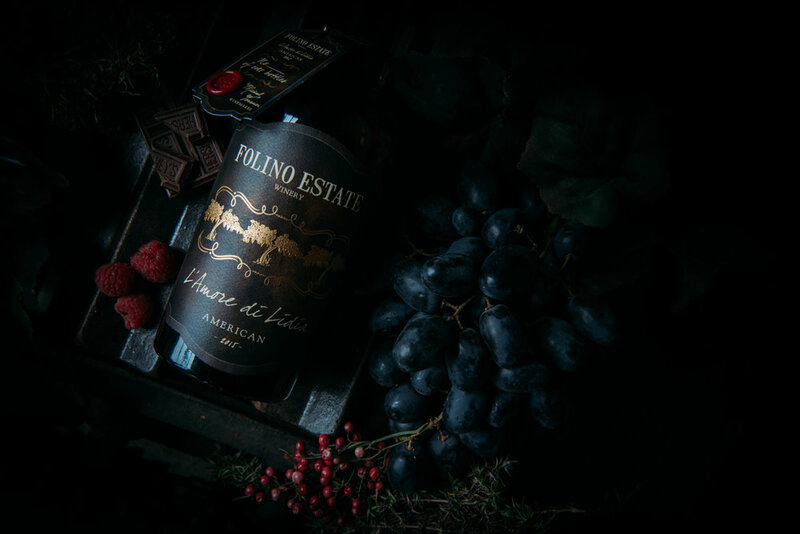 In addition to our wines, Folino Estate Sangrias have become a signature of who we are, and have quickly become a guest favorite. 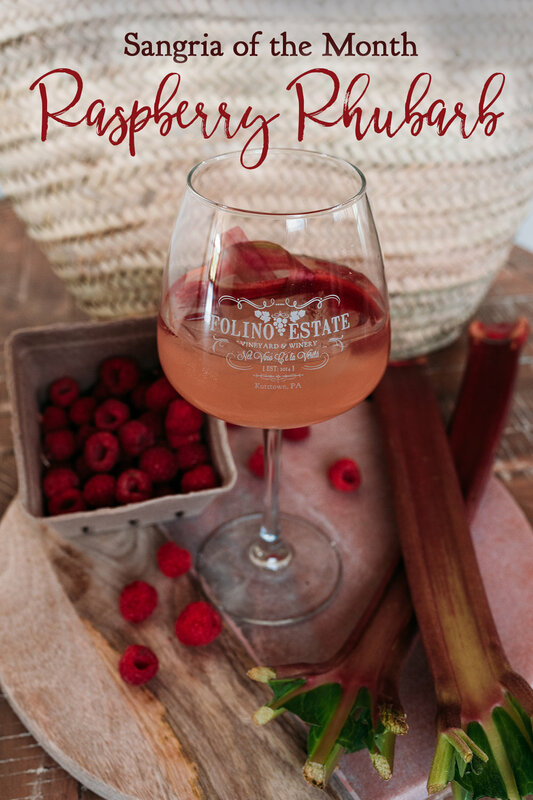 Since the opening of Folino Estate, Co-Owner Andrea Folino made it a priority to offer unique sangrias on the drink menu, and has since worked on perfecting recipes to showcase a seasonally appropriate sangria for every month of the year! This year we will be featuring a NEW flavor in the spring to enjoy while dining with us, or in our Tasting Room. 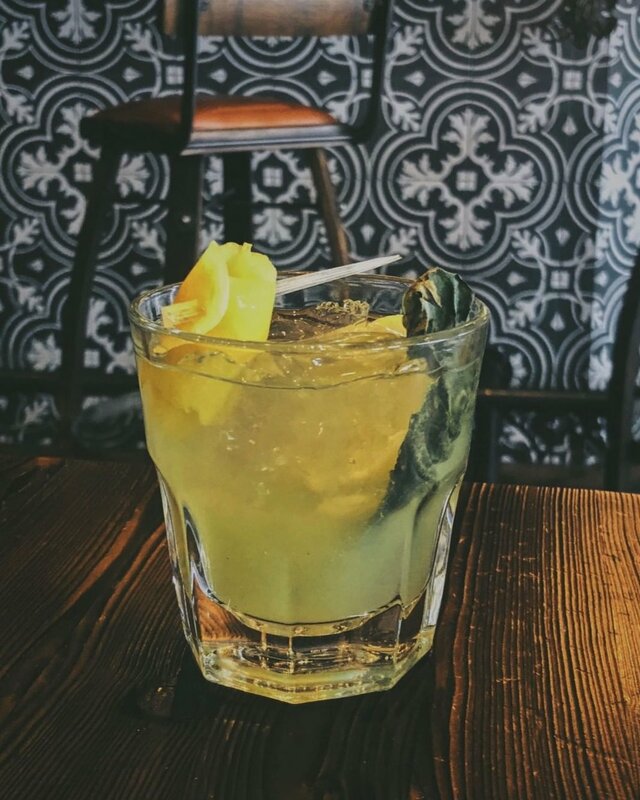 For January, we are featuring our Sicilian Blood Orange Sangria, made with our exclusive white wine blend, blood orange syrup, and garnished with an orange slice. Beat the cold, and join us to try this little piece of paradise, today! Follow our Instagram and Facebook for updates on our monthly sangria. The year is young, can you make it in to try all 12? 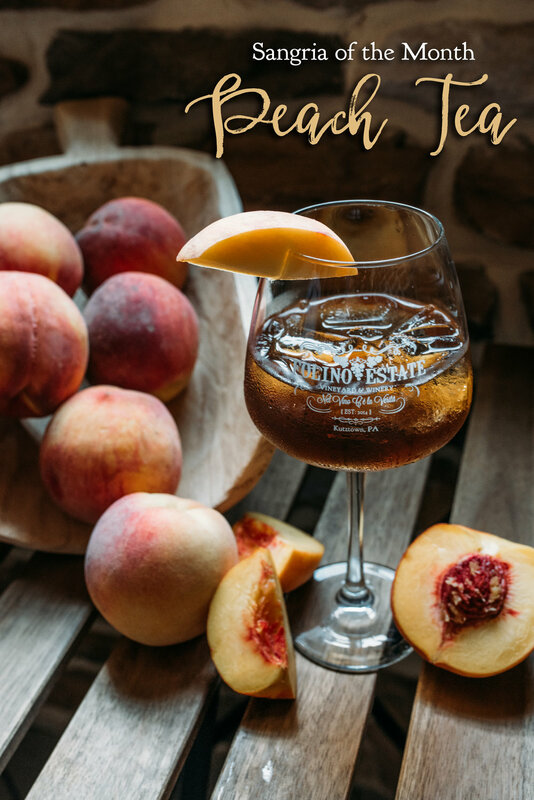 We are honored to be nominated for Lehigh Valley Style’s Best of the Lehigh Valley 2019 for Best Sangria! Please vote for us here, and as always thank you for your continued support! 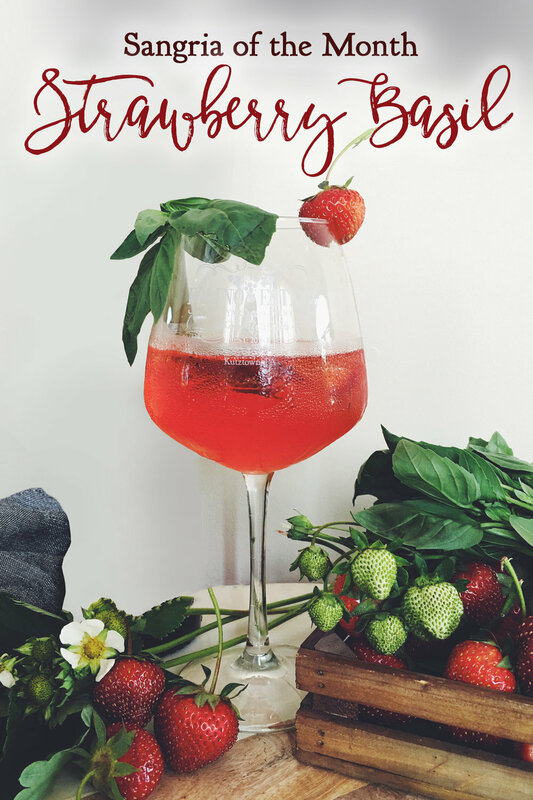 We hope to see you for a glass of sangria, soon! 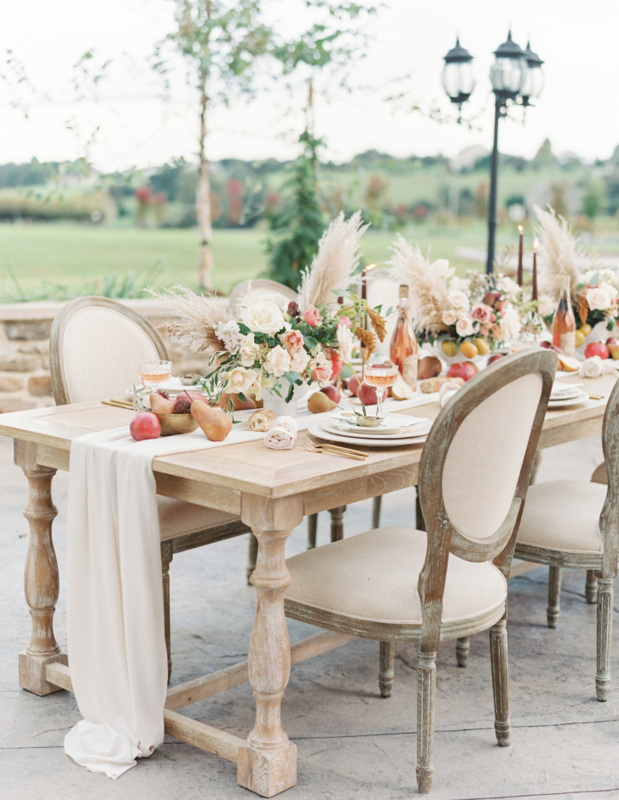 Looking for some easy ways to style your Thanksgiving table this year? 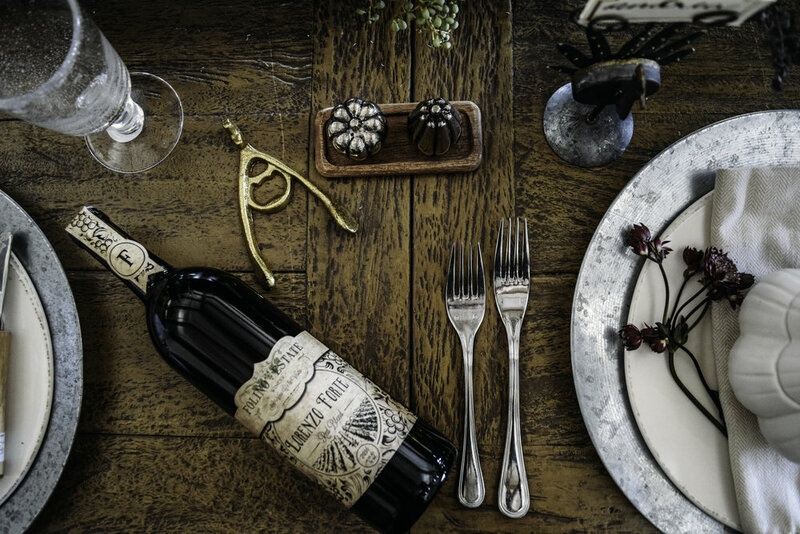 Not only do we have the perfect wines to pair with your meal, we also have great accessories to adorn your table! 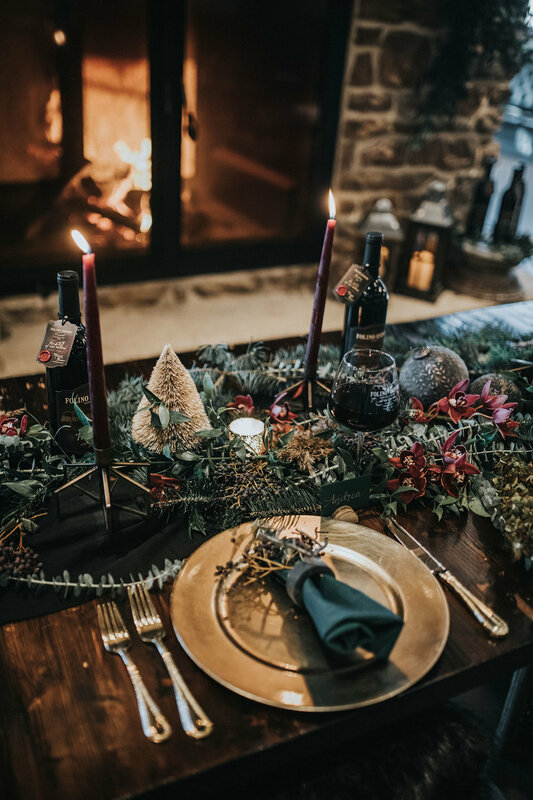 If you’re not hosting, it’s always a great idea to bring your host a little gift to show your appreciation, whether it be a great bottle of wine or a home accessory. 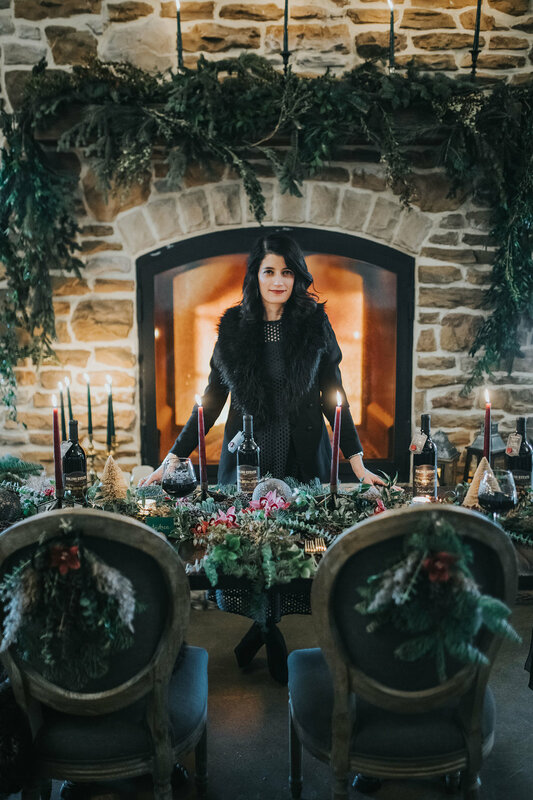 Check out some quick ways Andrea Folino styled a table and then head on over to our Tasting Room to recreate before next week! See you soon! 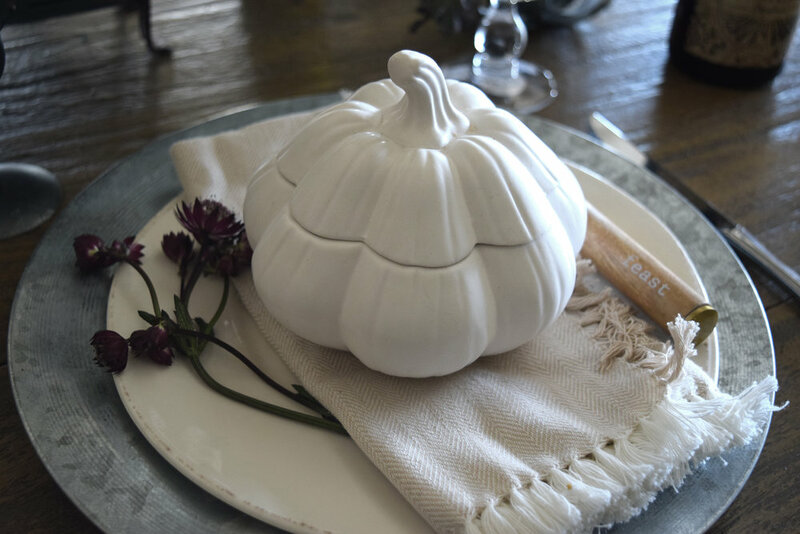 We love these little white pumpkin pots, not only for their versatility, but also the modern touch they add. You can serve dips in these, but also use one at each place setting for soups. We also have these cute little spreaders with all different fun Thanksgiving sayings on them, again perfect for individual settings or for serving cheeses and dips. 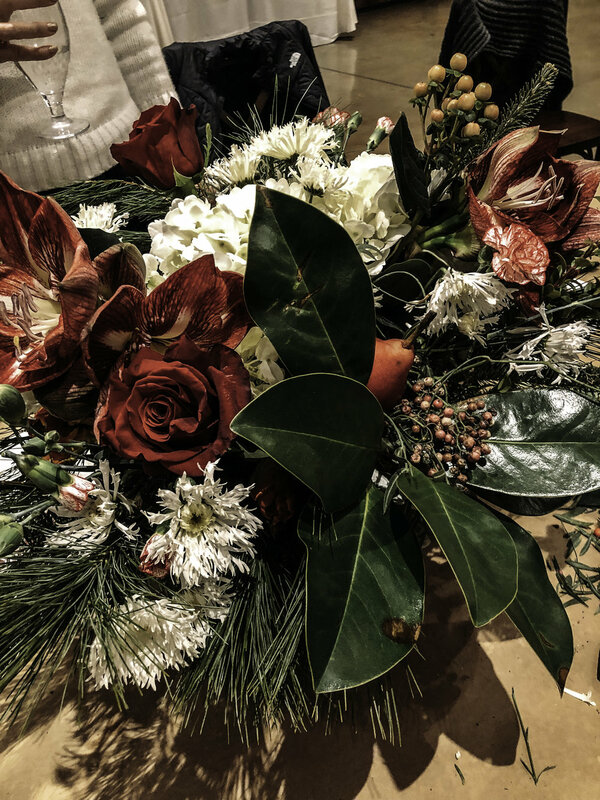 We love to tie them on a bottle of wine as an extra touch for a hostess gift. 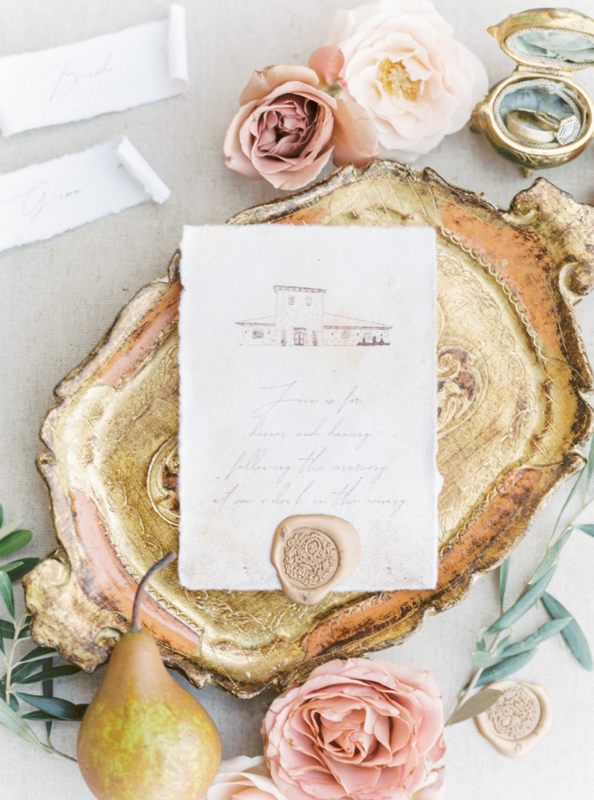 How adorable are those little turkey place card holders? 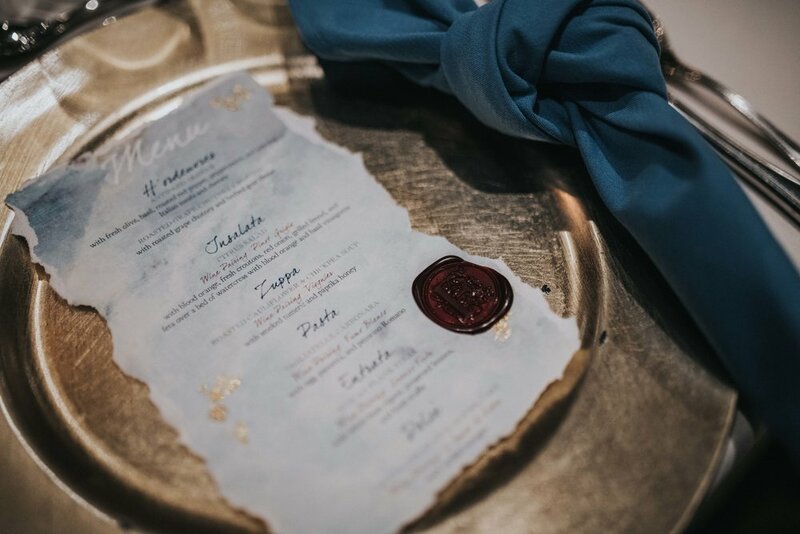 They can also be used as a buffet marker if you plan on serving your dinner buffet style. 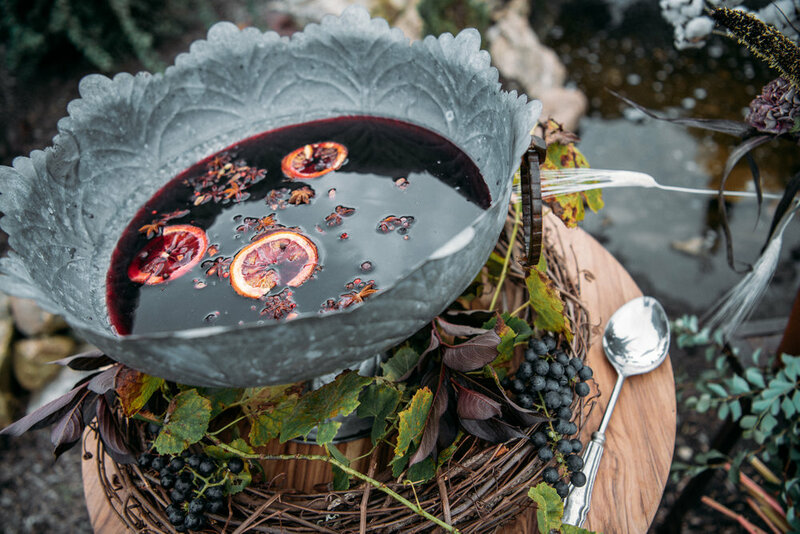 These very unique hand-blown wine glasses also add a rustic touch to your table. It’s always fun to collect salt and pepper shakers to use during each holiday. The above silver gourds come with the little wood tray to hold them on. Your guests will love them! In need of a bottle opener for the beer drinkers? Play up the theme of Thanksgiving with a gold wishbone opener. And for the non-beer drinkers, you can’t go wrong with our top red, Lorenzo Forte! 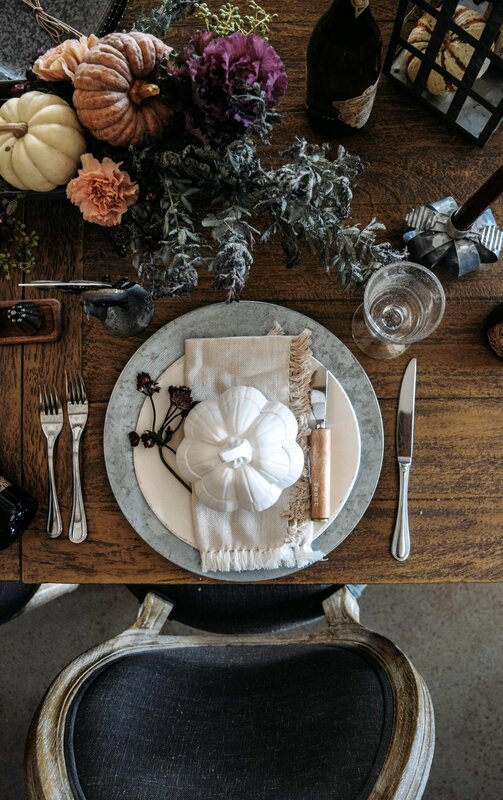 A favorite of our Tasting Room shoppers this season, the galvanized pumpkin taper holders not only look great on the table, they fold flat for storage purposes. 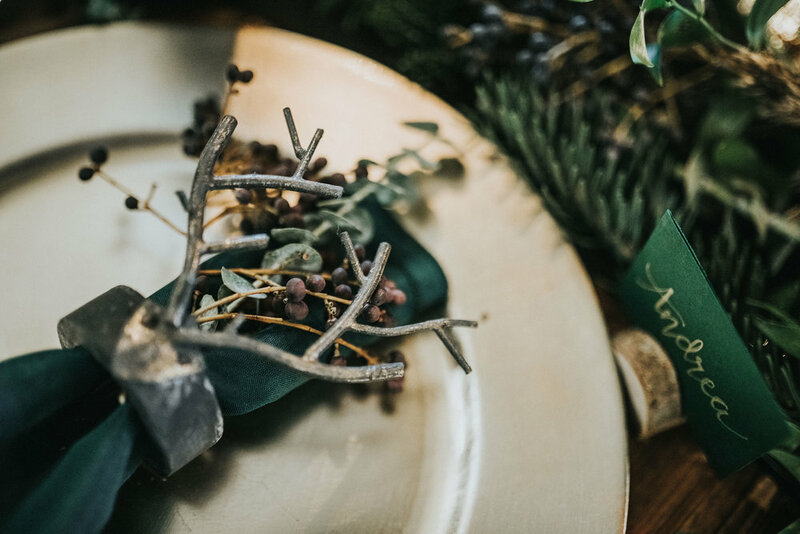 Decor that can be multipurpose is a favorite of ours, which is why our centerpiece (that’s extremely easy and quick) was originally meant for serving breads and crackers. It comes in a set of small and large so you can still you use the small one for the crackers! 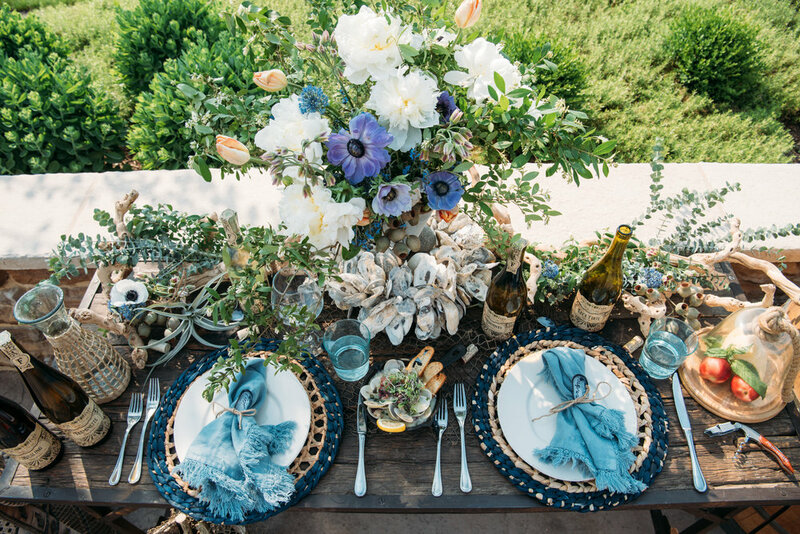 The little galvanized house is so sweet for decorating an accent table year round. 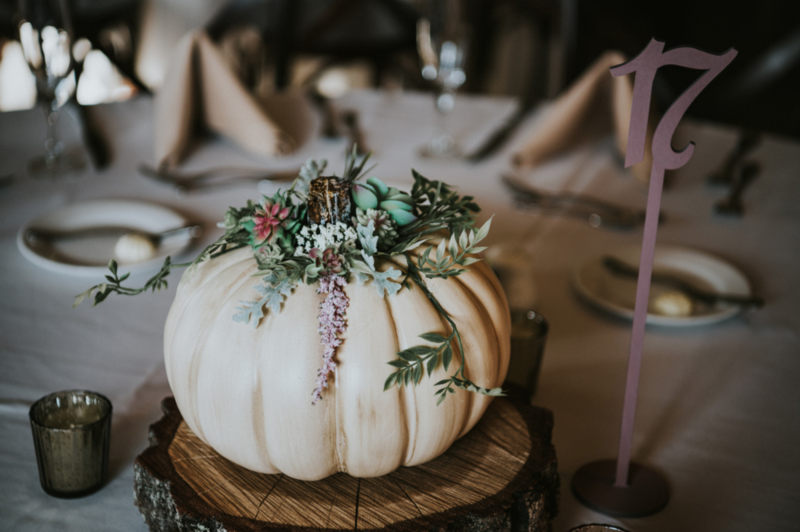 We placed a little pumpkin in ours with the most amazing smelling Spiked Cider candle by Rewined. 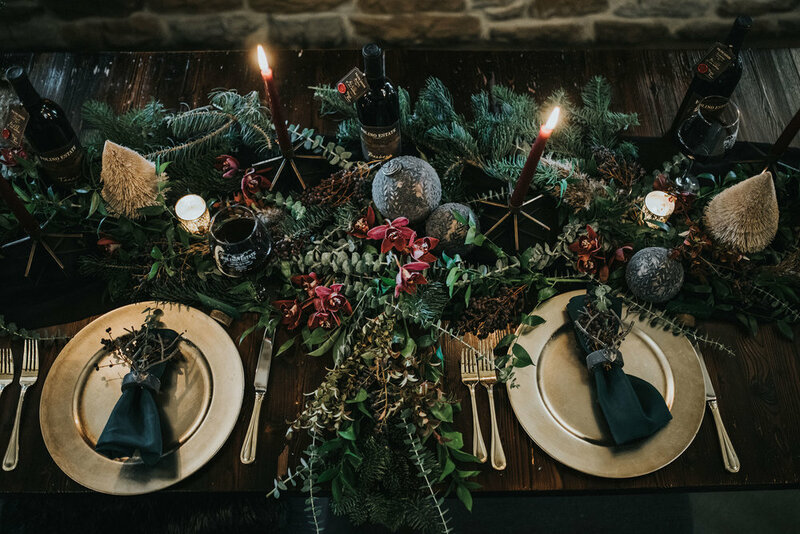 For Christmas, swap out the pumpkin and use evergreens for a festive touch. The set of 3 galvanized pumpkin trays with gold bead trim are ideal for serving a variety of foods at your table. Don’t forget the little turkey vase to match the placecard holders! 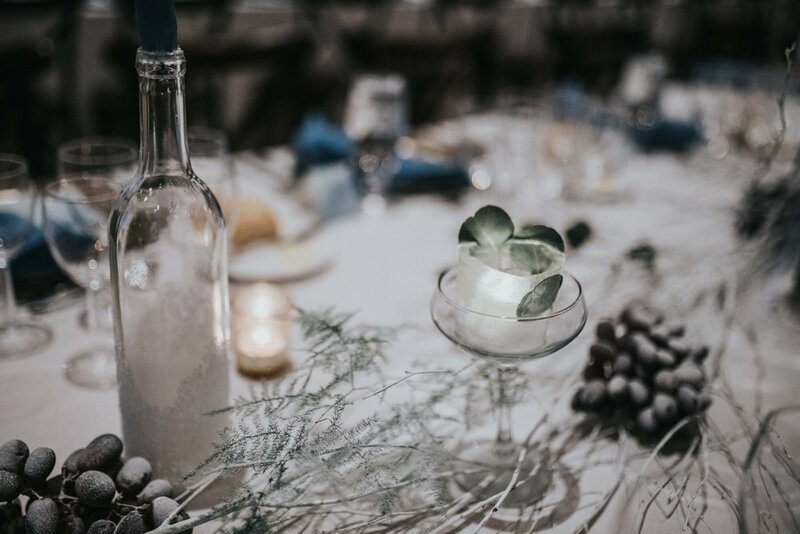 We have rustic ice buckets, these neat vintage bottles that can be used for candlesticks or for flowers and we love the wood risers for decor or serving pies. One of our favorite picks this Fall are these ceramic pumpkin vases and they’re suitable for fresh or dried arrangements! 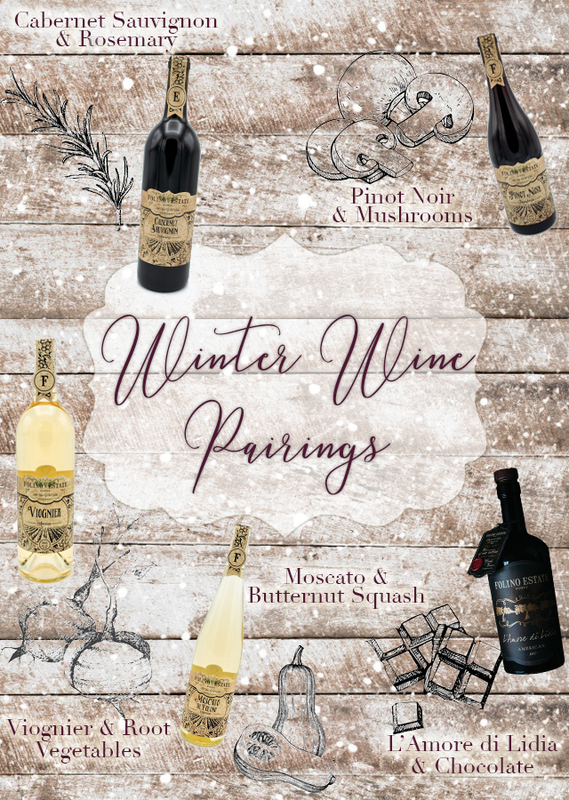 We have much more in our Tasting Room, so stop in this weekend for our Pie & Wine Pairing Event and check out all we have to offer! Happy Thanksgiving! Looking to change up your dish options this Thanksgiving? 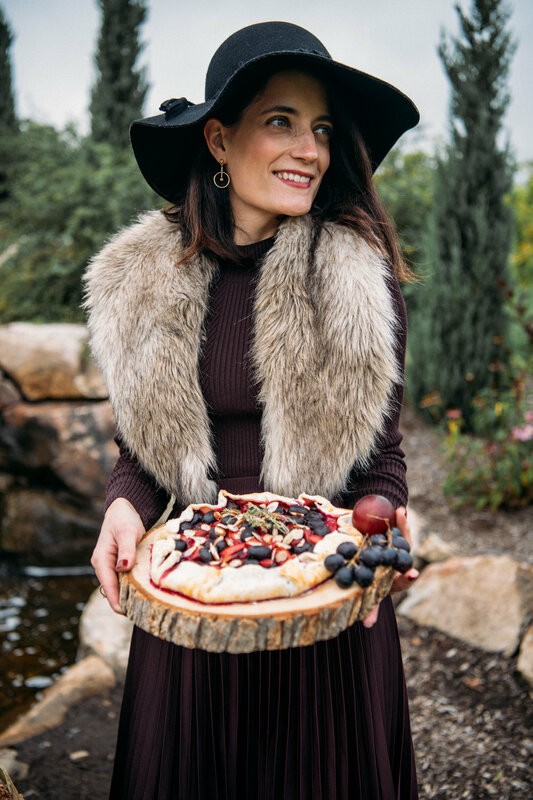 Try some of my favorite original recipes and impress your guests with flavorful tastes and elegant food aesthetic. Pour a glass of your favorite wine, and read on to see the delicious recipe details. Combine the wine, juice, triple sec and sugar into a pitcher and stir well. Quarter the figs and muddle some to add to the pitcher, leaving some to garnish. Add the thyme, also leaving a few sprigs for garnish. Allow to infuse for three hours in the refrigerator. Serve over ice, optional. Wash the sweet potatoes and stab all over with a fork. Microwave on high for about 5 minutes per side, until tender. Allow to cool enough to handle, and then cut them in half. Scoop the flesh into a bowl and proceed to mash well. Passing through a ricer works very well, also. Transfer 3 cups of the mashed sweet potatoes to a large bowl. Add the strained ricotta, stirring thoroughly to combine. Add the parmesan cheese and salt. Begin to add the flour, a quarter cup at a time, until a soft dough begins to form. Adding too much flour will make your gnocchi dense, so take to only add as much as is needed to make a cohesive, workable dough that’s slightly tacky. Lightly flour your hands and shape the dough into a large ball. Lightly flour your workspace and divide the dough into six equal portions. Roll one portion out until it reaches about 20 inches in length. Cut into approximately 20 pieces to form the gnocchi. If you have a gnocchi board, roll each piece off the board and onto a floured baking sheet. Alternatively, you can use the back of a fork or skip the ridges completely (adding the ridges allows the sauce to coat the gnocchi better but it is not necessary). Repeat with the rolling and cutting process with the remaining portions. Before cooking the gnocchi, it is best to make your sauce, as the gnocchi cooks very quickly. Bring a large pot of salted water to a boil. Add a portion of the gnocchi to the boiling water and allow to cook until the float to the top, roughly 30 seconds. Remove with a slotted spoon and keep warm while continuing to cook the remaining gnocchi. Toss in the brown butter sauce, garnish with parmesan cheese, and serve. Melt the butter in a saucepan over medium heat, stirring occasionally. Cook until the foam diminishes and begins to turn a golden-brown color, roughly three minutes. Turn off the heat and add the rosemary needles, cooking for one minute. Remove from heat and add the balsamic vinegar, salt and pepper. Combine the cranberries and sugar in a pot. Pour in the red wine and heat over medium. Zest the orange and add to the pot; then halve the orange and squeeze the juice into the pot. Add the cinnamon stick and and allow the mixture to simmer, stirring occasionally, until the cranberries begin to burst, approximately 10-15 minutes. Remove from heat and allow to cool to room temperature before serving. Remove the cinnamon stick before serving. It can be stored in the refrigerator for up to five days. Preheat the oven to 400 degrees. Prep the brussel sprouts by removing the stems. Remove any outer leaves that appear blemished or discolored; halve or quarter, depending on their size. Slice the red onion and add to a bowl with the prepared brussel sprouts. Drizzle with olive oil and toss to coat. Season with salt and pepper, taking care to not add too much salt, as the saltiness from the pancetta will also be present in the final dish. Add the seasoned brussel sprouts and red onion to a baking pan and roast for approximately 35 minutes. While the brussel sprouts are roasting, sauté the diced pancetta until golden brown. Set aside. Once the brussel sprouts are done, combine the cooked pancetta and transfer to a serving platter. 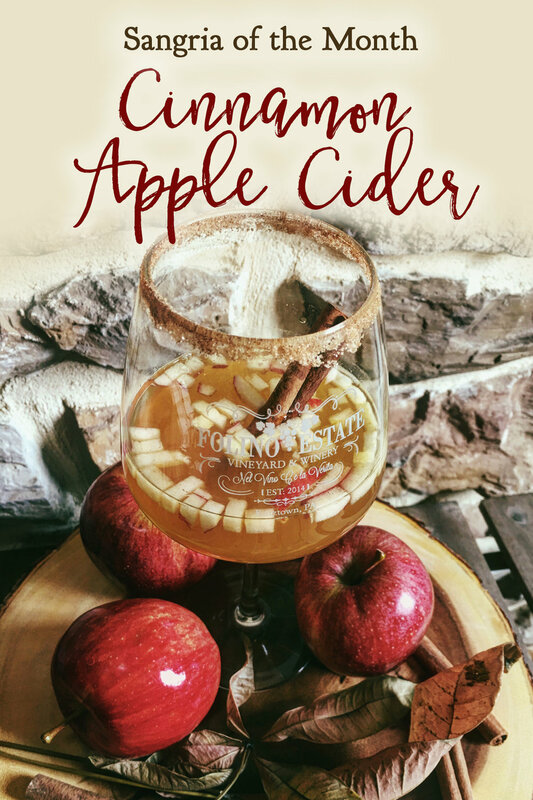 Full recipes, and additional photos can be found in the November 2018 issue of Lehigh Valley Style. All photos were taken by Prevailed Studios, LLC. Now that veraison is well underway, we are patiently waiting for Harvest. We are estimating to begin Harvesting our grapes in two weeks. In those two weeks we are looking for the brix number (sugar content) and the pH in the grapes to increase. It's important to ensure that our grapes are at peak quality before picking them! Petit Verdot (This will be harvest around the first frost! As the grapes get sweeter, there is an increase in migrant birds that feed on them. Most recently, the starling population has increased, and we have had to take preventative measures so they don’t eat all the fruits of our labor. 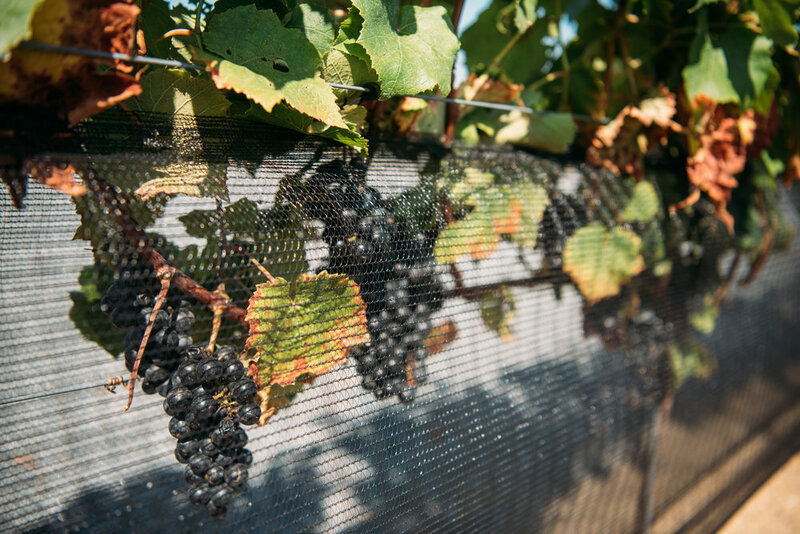 Typically, the first line of defense of migratory birds is placing netting around the grape vines. This typically will keep the birds out but if they still manage to sneak in for a snack, we will utilize a bird caller or canon. The bird called will mimic the sounds of a hawk and work to scare away the predatory birds. In much the same way, the canon will make a loud noise with the intention of scaring the birds away. 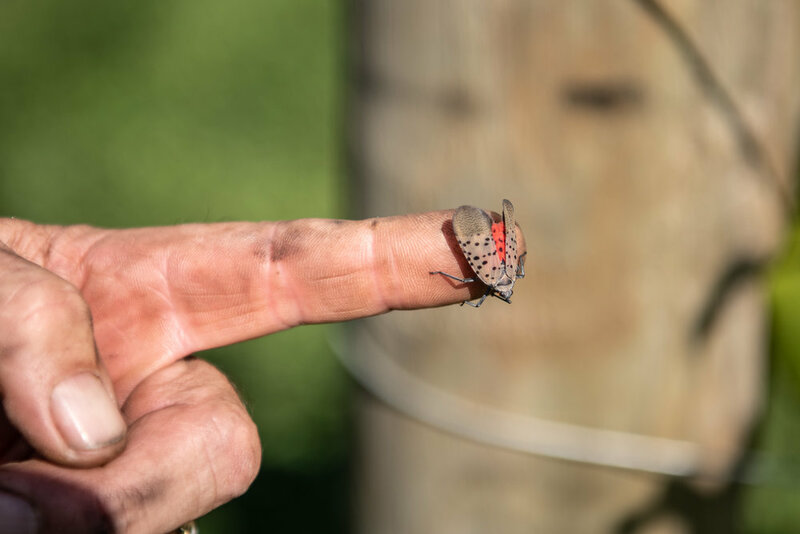 Like all farms, vineyards, and even backyard gardeners, we have been forced to manage an unruly population of spotted lantern flies. The spotted lantern fly can be deadly for a vineyard. It bores a whole into the vine and drinks the sap. Without proper management this can devastate a vineyard. Through multiple techniques, we have been very successful at keeping their numbers to a minimum. 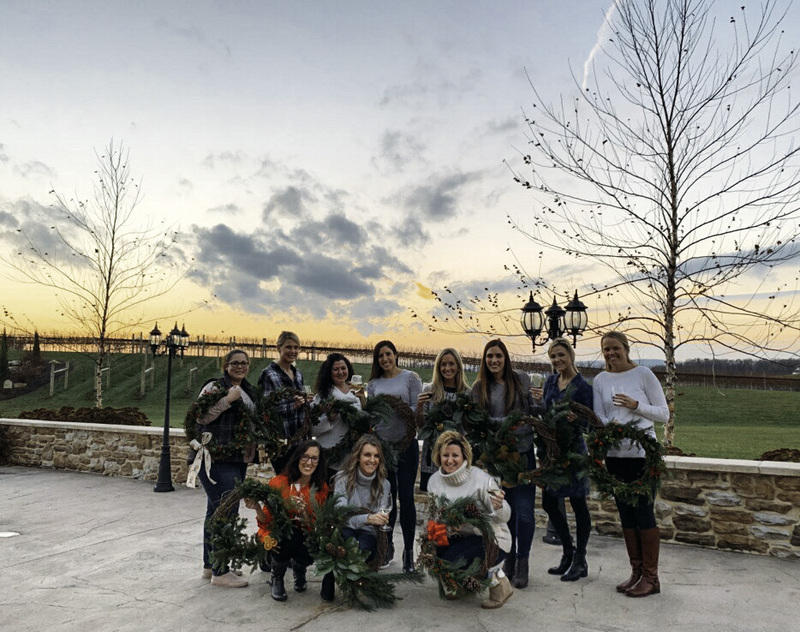 Starting in early spring, our vineyard team was able to keep their population confined to a few Lantus trees and treat them directly on those trees before they attacked the vines. We have also been using a systemic spray that has been approved by Penn State for treatment of vines. Those two methods, combined with the classic technique of squashing them on the ground, have proved to be working! In the winter, during hand pruning, the vineyard team will also manually remove any eggs that may have been laid. Michael Vorauer spent over 30 years mastering the skills of handcrafted wine-making and brings years of knowledge, experience, and passion to Folino Estate as our Winemaker. 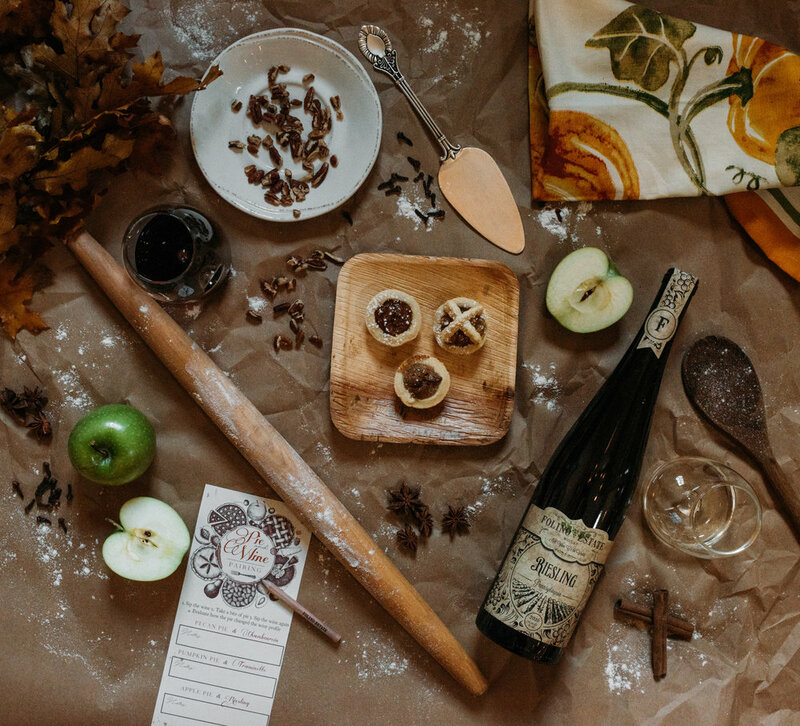 He developed his multifaceted expertise through formal education, studying viticulture and wine-making on the Rhine River Valley, and working as a winemaker in different regions across the US. 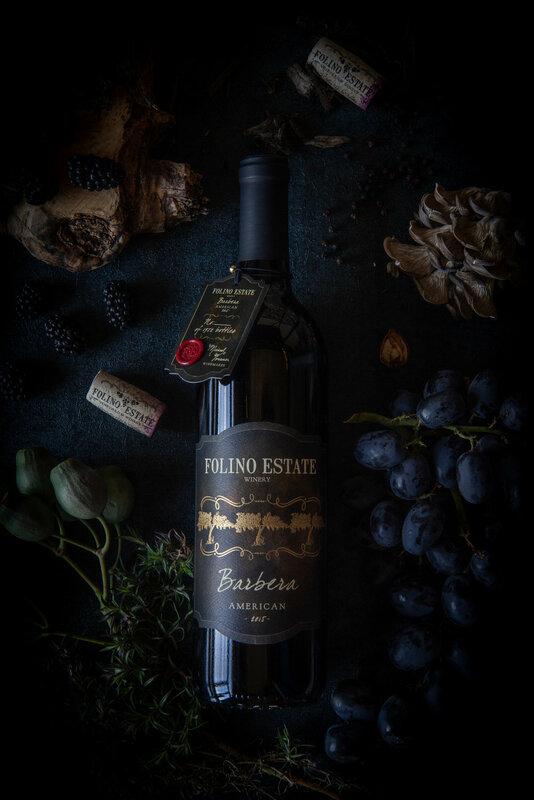 As our winemaker, Michael quickly launched Folino Estate into a respected and award-winning winery in the East Coast. A little Q&A with Michael! 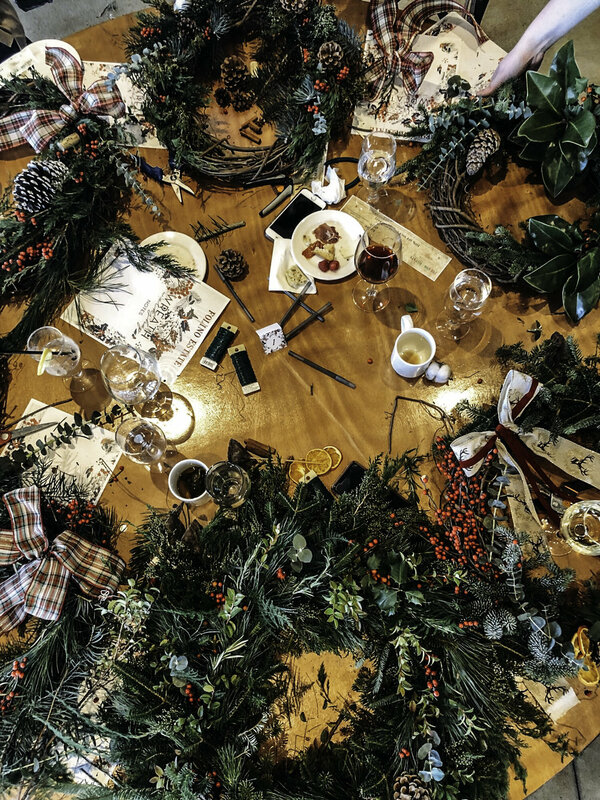 What are your passions and inspirations for wine making? 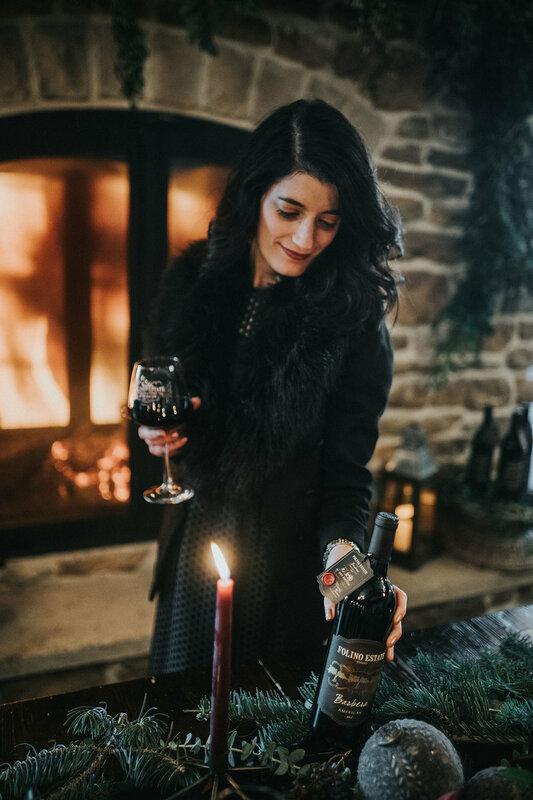 "My passion comes from my family heritage and experiences as a child visiting the old family winery. We would go into the half buried wine cellar with a sliding wooden door at the entrance with a window with iron bars on it. I would walk down some steps into the old laboratory which was located between the two rooms on either side. In each room there were two rows of double stacked barrels . I guess one could say my inspiration started then too. It was a walk into the past seeing the old brass instruments and glass lab ware sitting behind glass pane wooden doors in the cabinets above the counters. There were old bottles of wine as well with the old family label, albeit they were very old and oxidized. 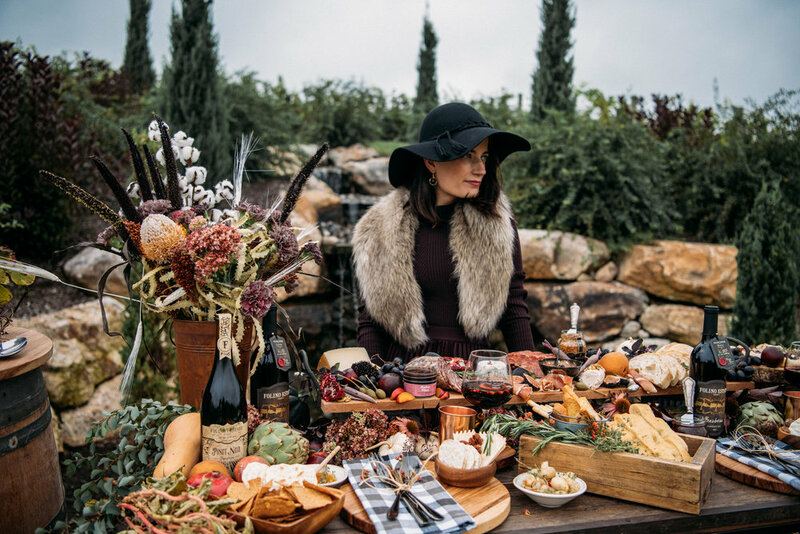 We used to ride on the old Farmall McCormick Deering tractor with twin front center wheels through the vineyard of 85 year old vines planted on 10’ x 10’ centers and pick grapes into wooden baskets and crates for making jellies." of the wine making process? "Every part of the wine making process is a joy. In the early in the spring the grapes begin to show signs of life as they pop out of their cocoon like structures. When they are about approximately 4-6 inches in length, one can see the tiny clusters. Throughout the summer, they develop into mature clusters and begin the ripening process near mid to late fall. The grapes are harvested by their ripeness and not before to assure the essence is captured in the berries, for they determine the quality of their destination later , as wine." "That is a tough question to answer. For each wine has its own unique character and profile. But I would have to say it would be our 2015 Valentino made from predominately Teroldego with a small amount of Barbera and a hint Cabernet Sauvignon. Oh and definitely watching the sunset!" 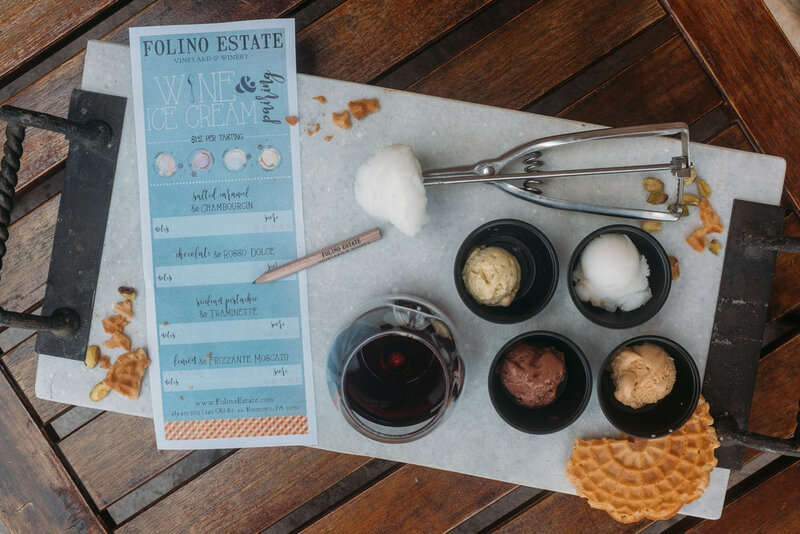 Since its opening in 2015, Folino Estate Wines have been awarded numerous medal in different wine competitions. These awards and honors would not have been possible without the passion, determination, and expert craftsmanship of Michael. Memorial Day is not only the unofficial start to summer, but more importantly, it is a day to remember and reflect on the lives lost during military duty. We say thank you to all the service members and their families for the ultimate sacrifices for our freedom. We think the best ways to honor these individuals is to spend quality time with the people that are closest to us, friends and family, and honor the relationship we have. One of our favorite ways to do this is to prepare a meal and share it with our loved one. 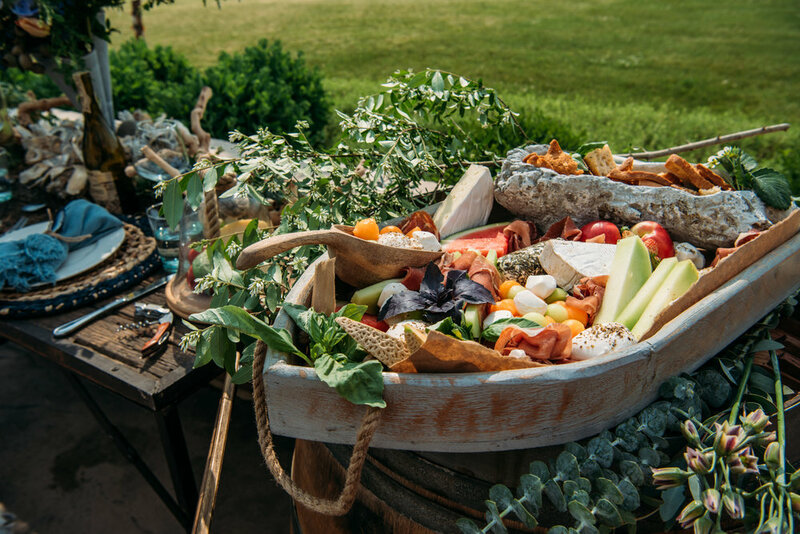 We have gathered some of our favorite recipes to create a summer inspired menu that is perfect for this long weekend. *Mixed all ingredients until well combined and served over arugula. Top with freshly shaved Parmesan and enjoy! The beautiful and bright Garlic Butter Sauteed Clam recipe from Rasa Malaysia is a refreshing and classic Italian way to add incorporate wine in your cooking. This recipe calls for 1/4 cup white wine. 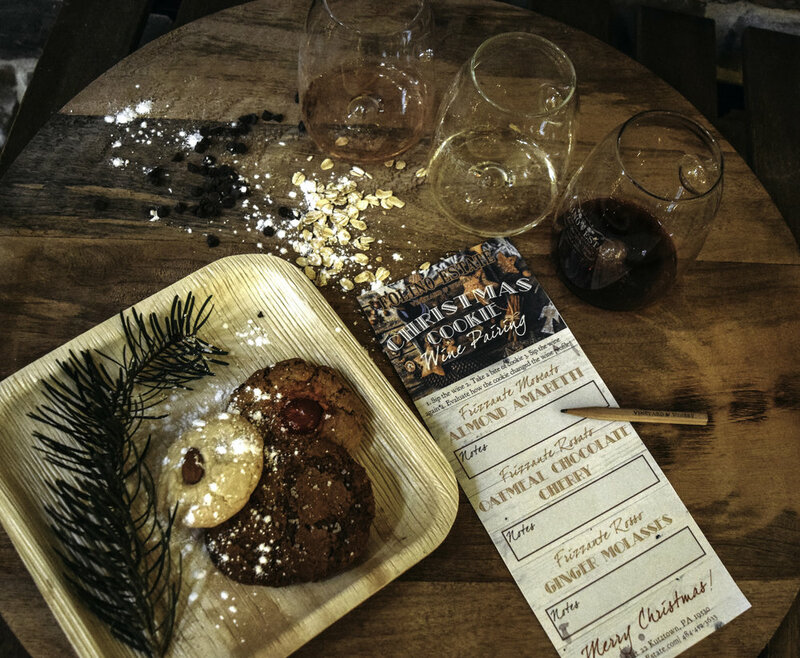 We recommend using 2 cups of our Chardonnay Barrel Reserve, 1/4 cup for the recipe and the rest for you to enjoy! This flavorful cut is perfect for a red wine marinade and the grill! This perfect marinade recipe from Saveur calls for 1/2 cup of red wine. We recommend using a dry red like Merlot or Cabernet Sauvignon. 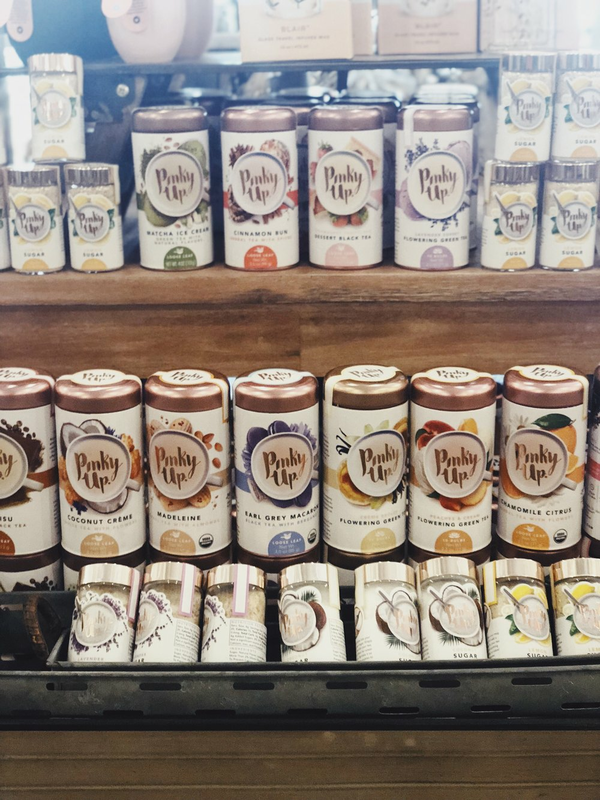 Not only will these wine enhance the flavors in the marinade, but they are also the perfect pairing to sip on while you enjoy dinner! Choose a variety of cheeses that vary in texture and flavor. 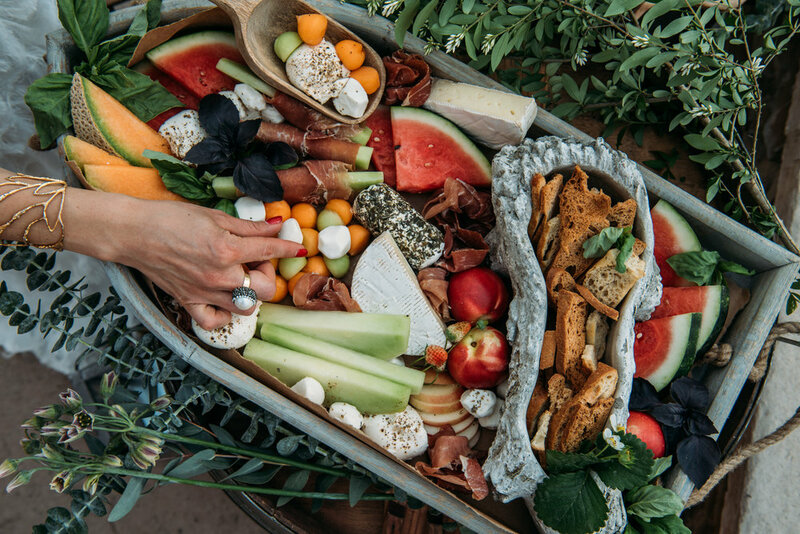 Soft cheeses like brie, hard cheeses like aged cheddar, and all cheeses in between offer a different tasting experience. It is also the perfect way to ensure that each of your guests will have something they enjoy. 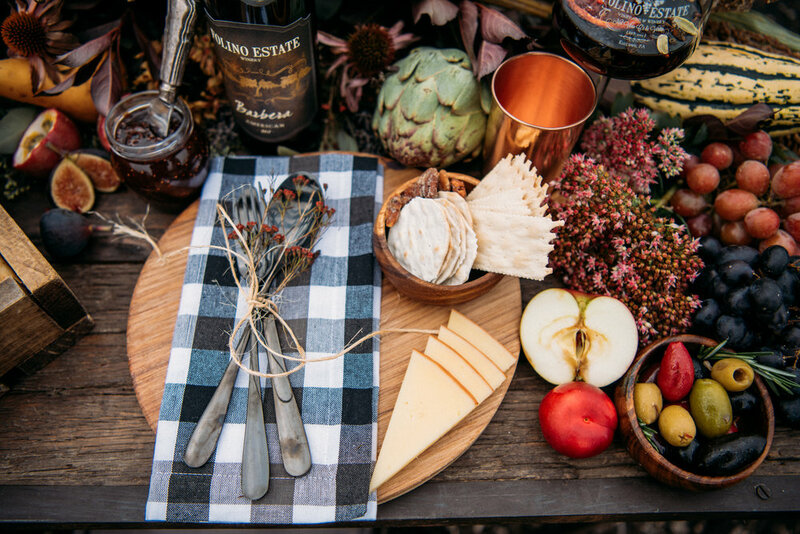 To spice it up a little, grab a cheese out of your comfort zone like a stinky blue cheese, spicy pepper jack, or an earthy camembert. 3. 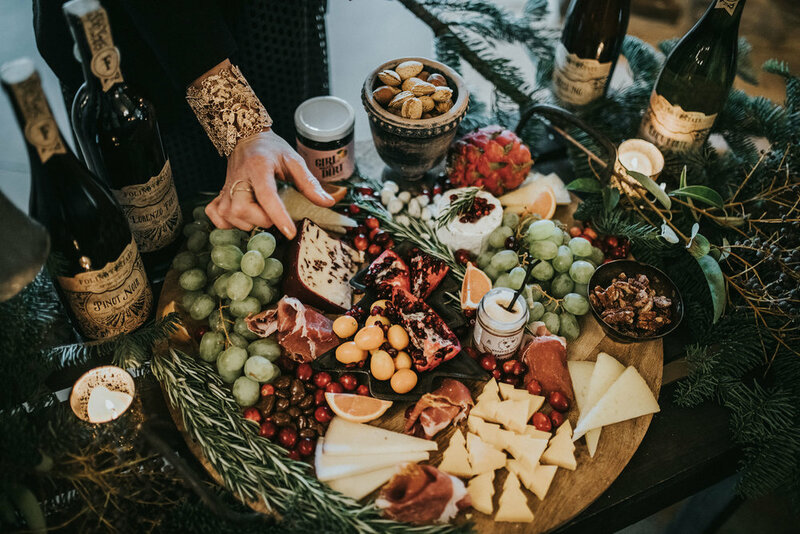 While wine and cheese are enough to get the party started, you will need other light bites to intensify the tasting experience. 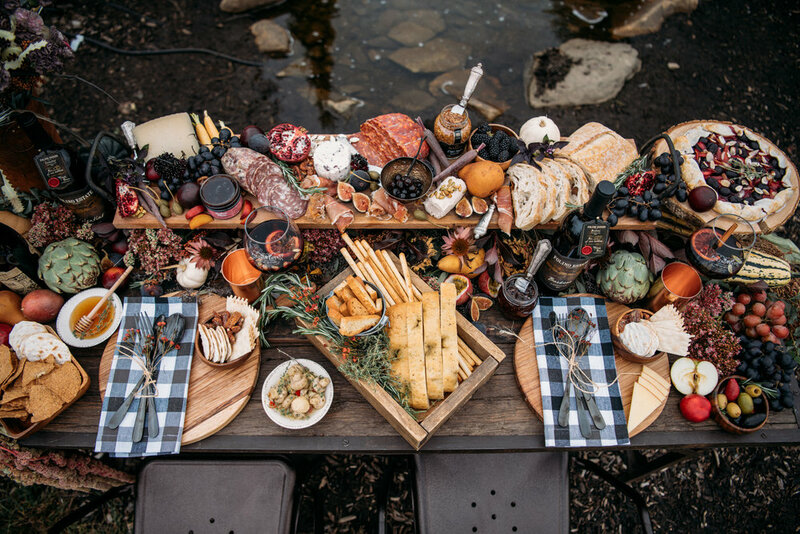 We suggest grabbing two types of bread, crostini, fresh fruit, nuts, olives, and cured meats. 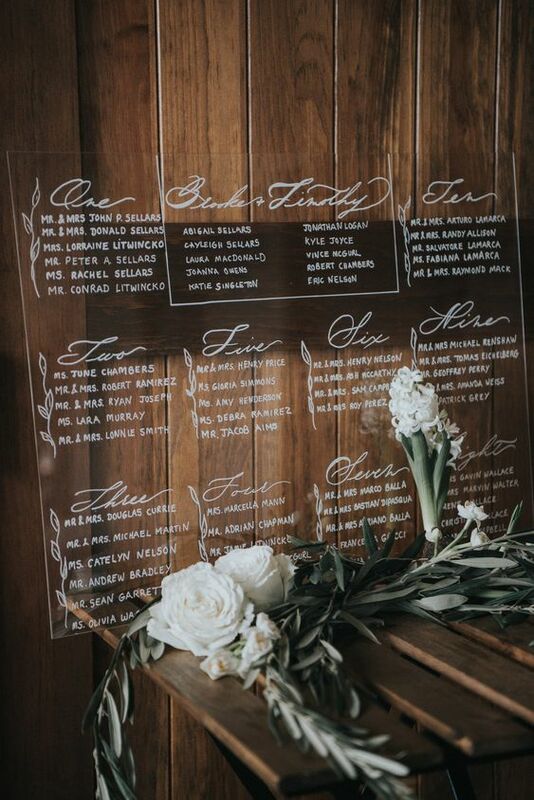 Different varieties of each will ensure all of your guests have something to enjoy. 4. The final step... Bringing it all together. 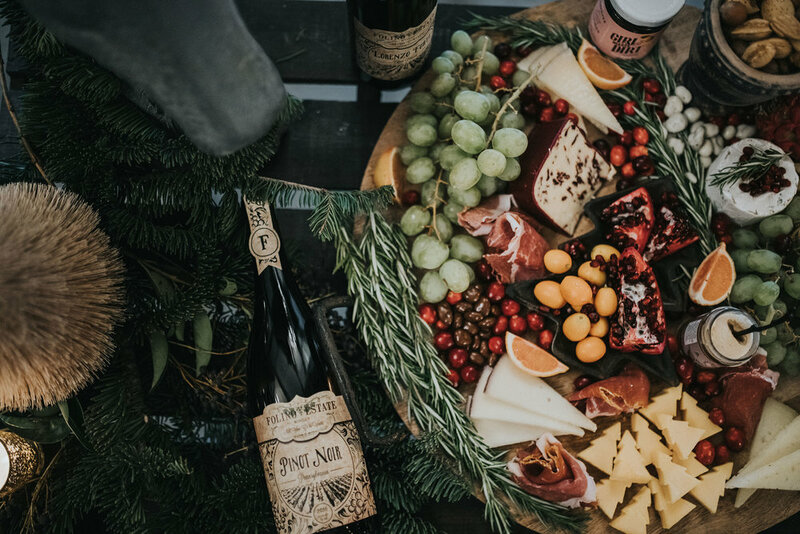 Label your cheese and wine, design your meat and cheese boards, pop the corks, and welcome your guest to a night that is sure to be full of fun, laughter, great company, and of course, delicious food and wine. Things to keep in mind when planning... you will need about 1/2 oz of cheese per person per cheese. The average bottle of wine will pour between 4-5 glasses. Make sure you have enough! 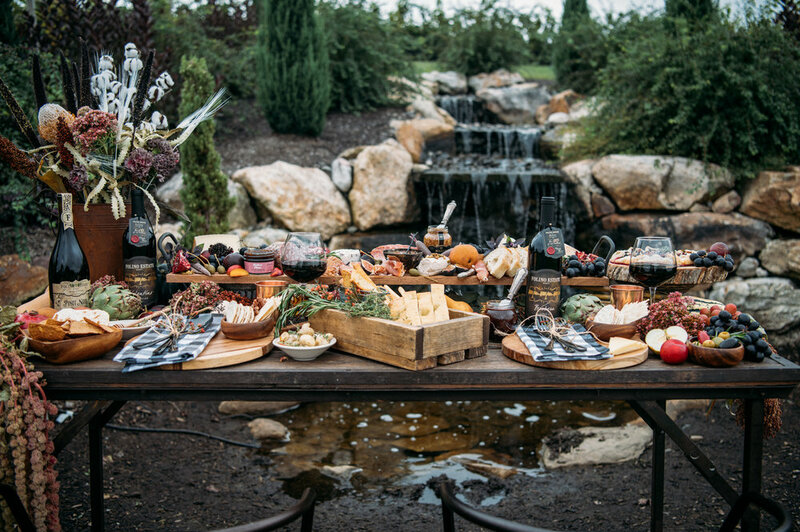 Everyone will want a full sample of each wine, and extras for their favorite. The spring season not only brings the beautiful sights of bud break but also marks a time of growth and new vines in the vineyard. This past Monday and Tuesday our vineyard crew planted 4,500 new vines. 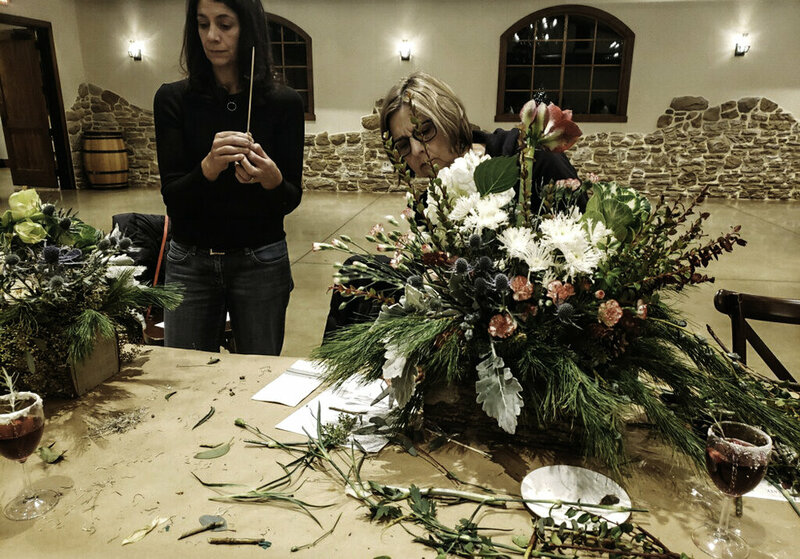 The varieties planted were Petit Verdot, Pinot Gris, Cabernet Sauvignon, and Teroldego. With these new vines our vineyard now houses 15 varieties and 23,544 vines. Since 2014 we have worked tirelessly to manager a beautiful vineyard and look forward to the release of our new Estate Label Wines later this year. The vineyard crew uses a special tractor with GPS navigation to ensure the vines are planted in a precise location. Check out the video below to watch the tractor and our vineyard crew in action. 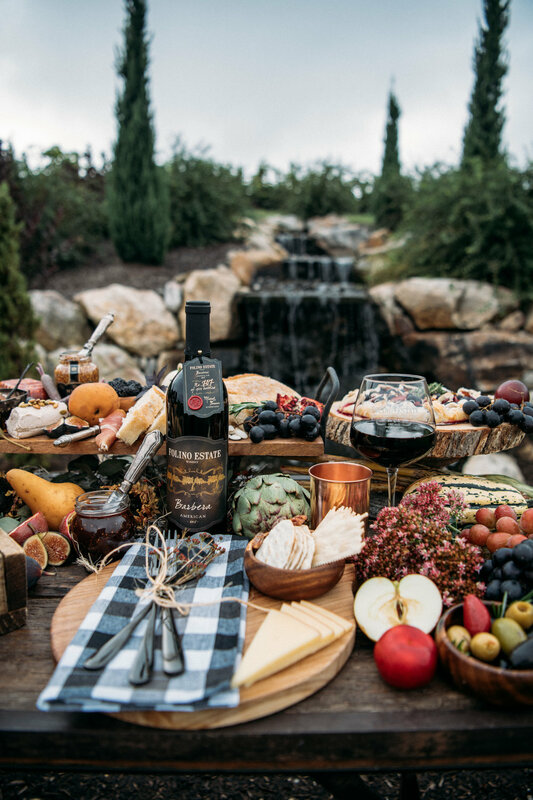 The Black Label Collection features handcrafted wines representing the age-old Italian style traditions and skills of passionate winemaking. 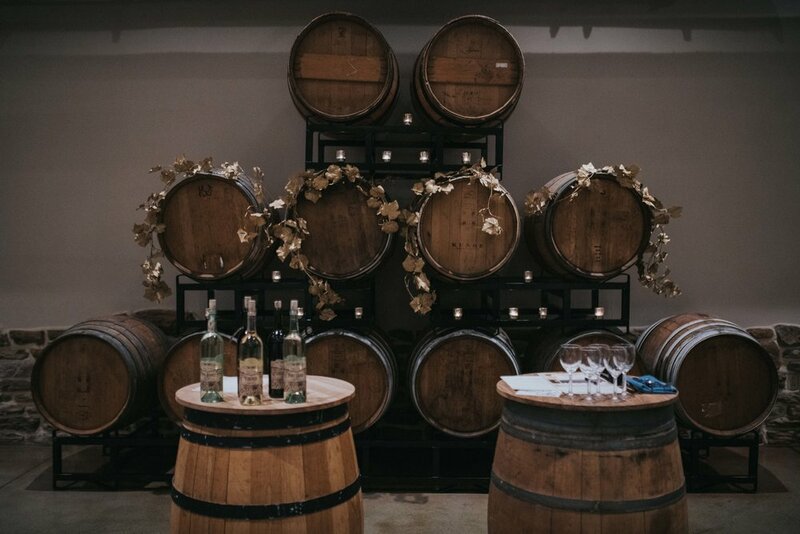 Artfully oaked in French barrels, each wine is an exclusive, limited release and will age perfectly for the oenophile’s collection. 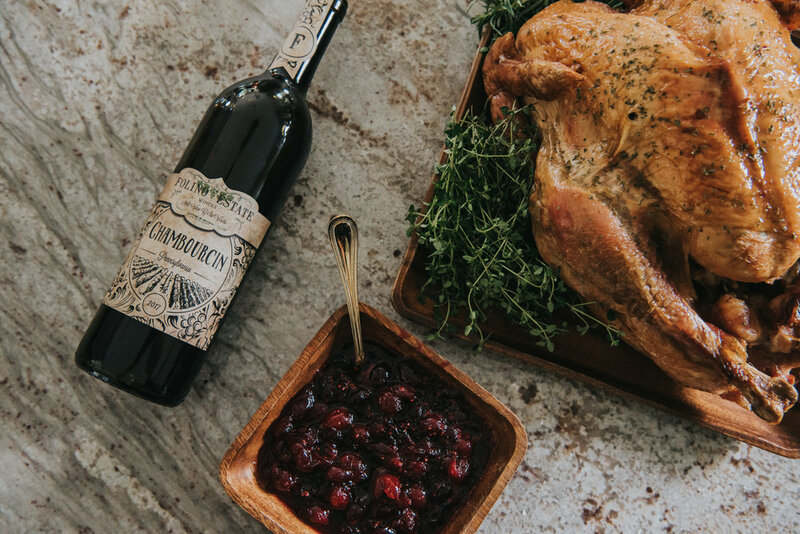 The higher tannins present allow each variety to pair well with rich dark meats & game, earthy foods and herbaceous cheeses. Decanting is recommended to bring out the characters hidden in every bottle. 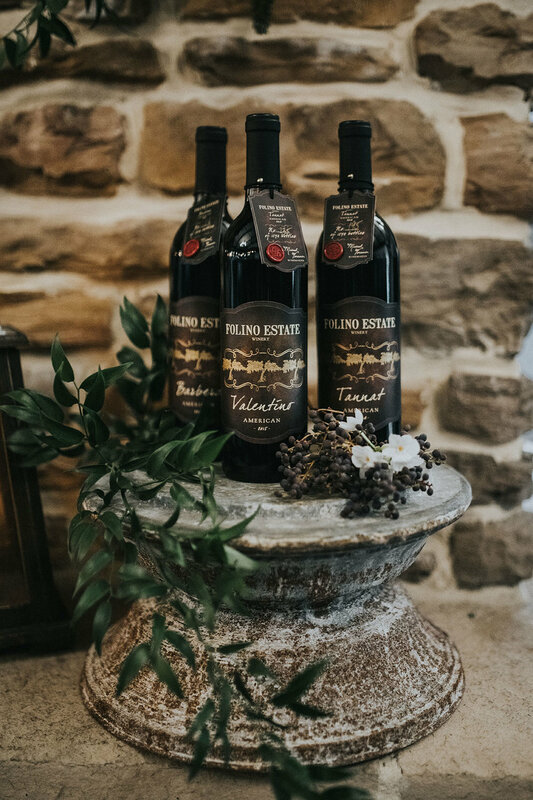 Valentino: A unique Chianti style blend of Teroldego, Barbera and Cabernet Sauvignon, this wine is named after the founder’s father, Rodolfo Valentino Folino. 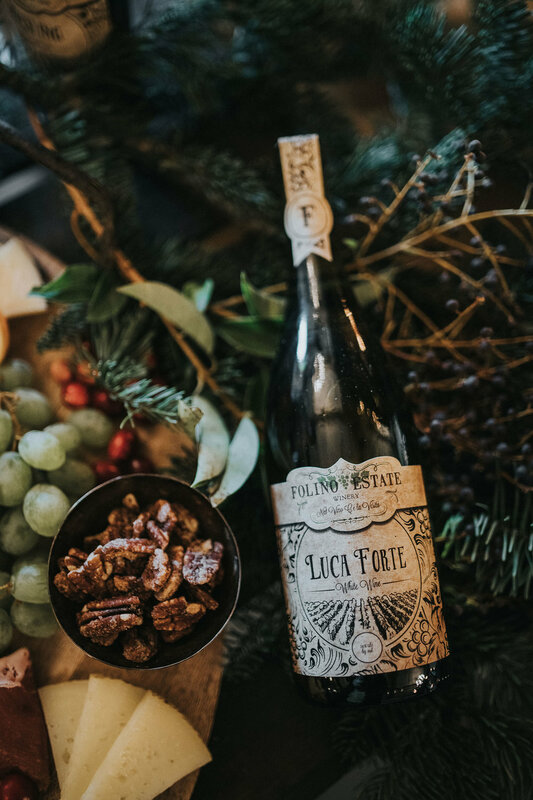 Rich in traditional Italian style, this wine has evolved characters and vibrant personality boasting spiciness, earthiness, warmth and hue with essences of plum, fig, and dark berry. Generations old and known as the grape at the heart of Italy, Sangiovese is a slow ripening variety allowing the resulting wine to be richer and stronger in character. French oak ageing has coaxed the aromatic flavors of black stone fruits and dark berries. The luscious fruit mouthfeel is followed by a long, velvety end note. Barbera is the second most widely planted grape in Italy, the ancient origins stem from as far as the 17th century. When decanted, the rustic aromas of intense black pepper and dried fruits are followed by flavors of raisins, fig and aromatic blackberry. 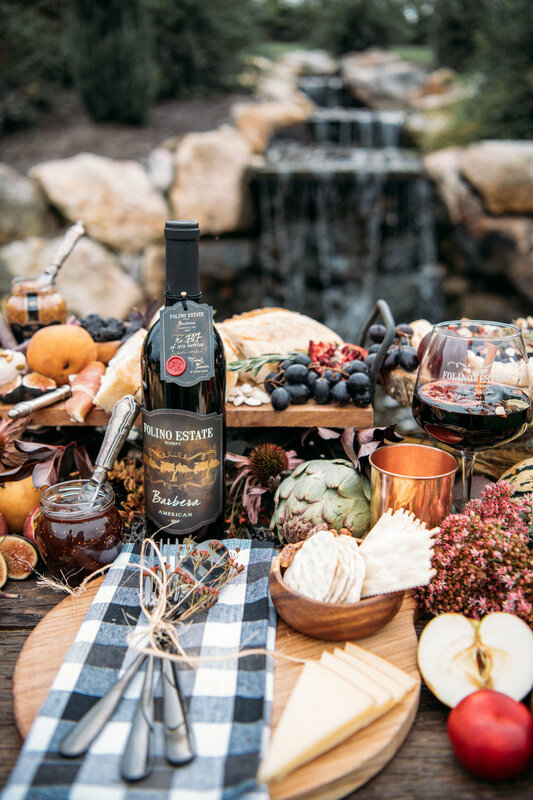 The medium toast French barrel encourages soft tannins followed by vanilla and chocolate. 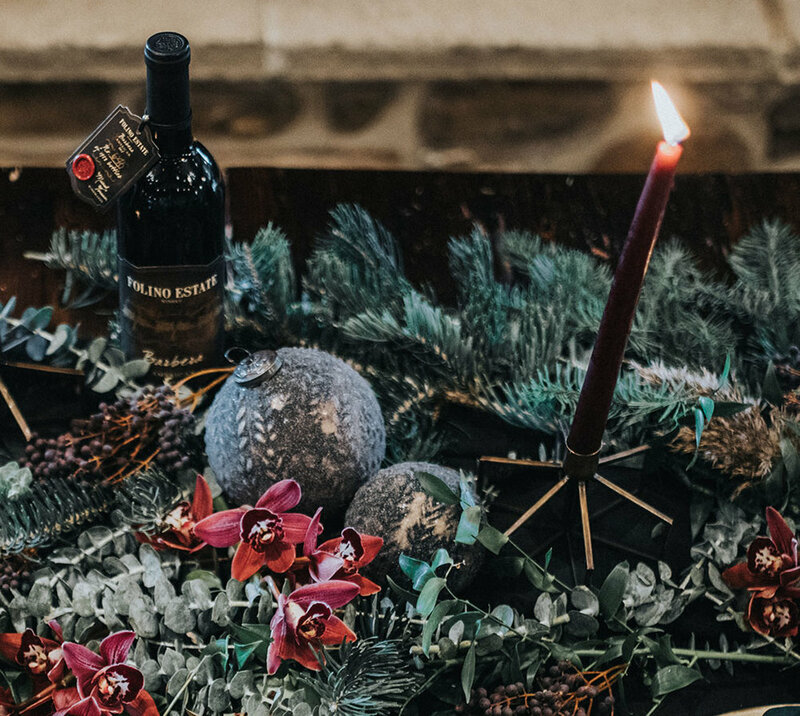 Tannat: Originating in Southwest France and finding a home in Puglia, Italy, the rustic character of this unfiltered wine exhibits notes of smoky peppercorns and black tea. The palate will experience a medium body with richly intense flavors of dried fruits; fig, raisin, black cherry and prune. Medium toast French oak enhances the vanilla and caramel. 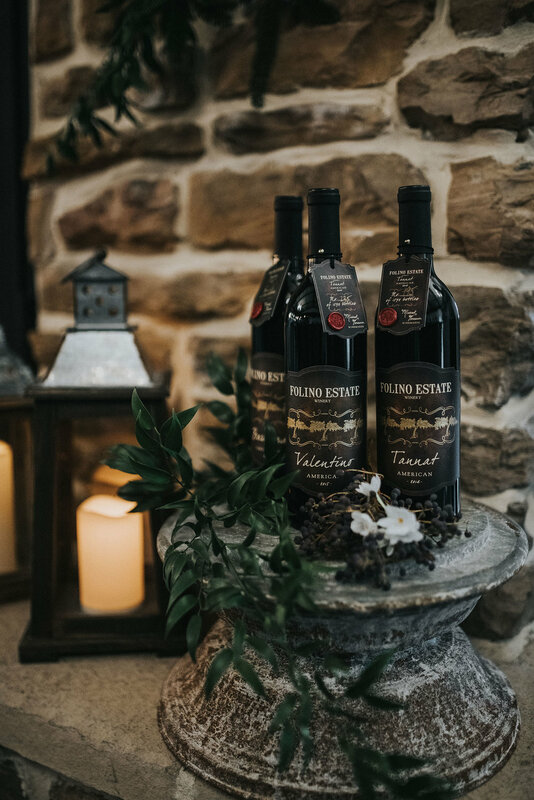 Named after the founder’s mother, this rich and sweet aperitif style Tannat is slow fermented and gently aged in barrels to achieve an age-old essence of love. 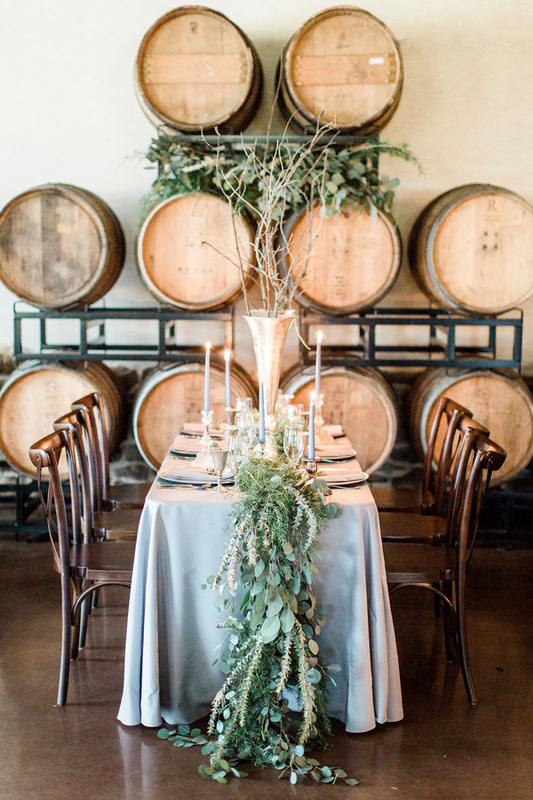 The light oak lends to smoky characteristics with flavors of silky plum, cherry and fig. Available Early Summer.